That’s an Augusto, they are usually true to size and I think a 52 would be too big for you. 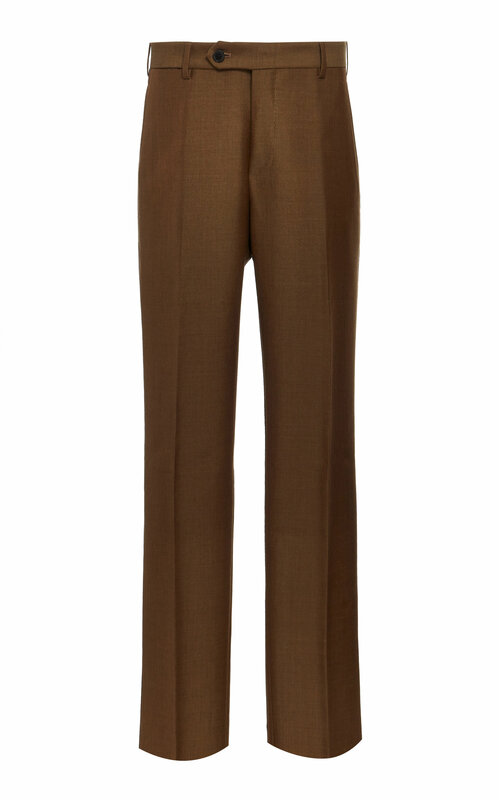 PSA: grabbed a beautiful pair of FW18 wool-mohair trousers marked way down, but sadly they are too slim. Tagged 52. ~34" waist, 7" leg opening. PM if interested. Is there someone who owns the Aran cable knit from SS16 and would sell it to me? Or where I might find something similar? I could be wrong but I'm fairly certain this never made it past the sample stage. Q has the US sample and I believe one of the guys from Craftsman Clothiers has the European sample. Cool story about this piece, it is based on a hand knit that I acquired from Melet Mercantile that was once owned by Perry Ellis. Interesting story but I hope you're wrong and it made it's way past the sample stage Maybe there is someone else on the thread that owns it. By the way do you remember what fabric was used for it? Looks like something with linen or silk to me. It was a cotton linen quality from the Italian spinner Igea called Grinta. I don't think they produce it anymore but it was a summer standard for me at Eidos. The Bagru crewneck was knit from the same yarn. @HansHelmut i'm wearing an inis meain linen sweater now that is kind of similar to that, you may have some luck there. First time at the ballet. Edit: Welp, that was fast... SOLD! Should be, isn't. 17" flat waist.